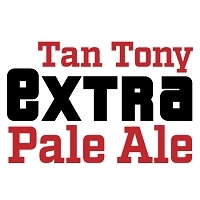 Would you like to add an in-store beginner brewing class? 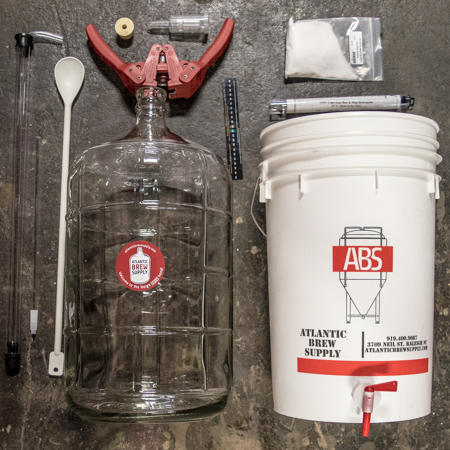 Our Basic Five Gallon Brewing Equipment Kit provides nearly everything you'll need for your first batch of homebrew. 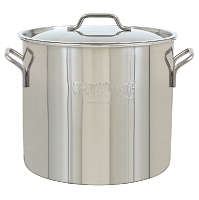 All you'll need to provide is a 5 gallon brewpot and approximately 50 12 ounce bottles! 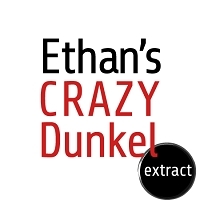 6.5 Gallon Glass Carboy – This will be your primary fermenter, where your beer will sit for a few weeks after your brewday while you wait for the yeast to convert the sugar in your wort to alcohol. Three-piece Airlock and #6.5 Drilled Rubber Stopper – You'll stick these together and put on top of the glass carboy, to ensure CO2 can get out, but no outside air can get into your fermenter. Adhesive Fermometer – Put this mini-thermometer sticker onto your fermenter to know the temperature at which you are fermenting. 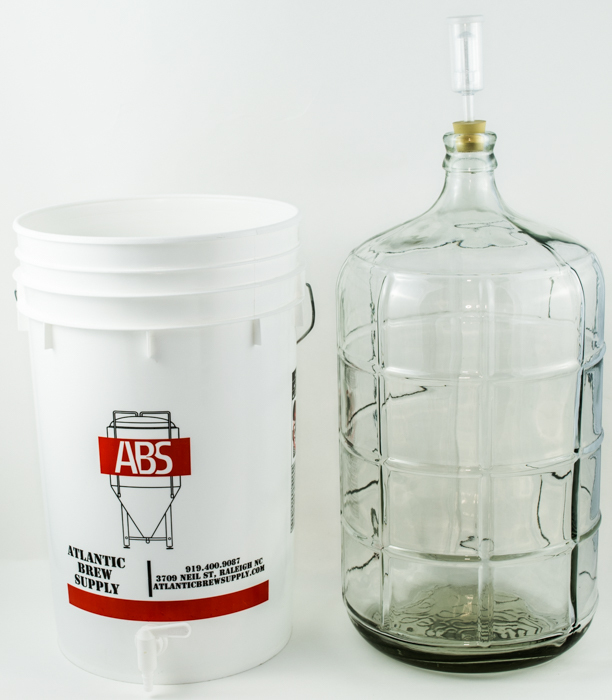 6.5 Gallon Bottling Bucket with Spigot – This is the bucket with a hole in the bottom, which you will use to fill your bottles with finished beer. Spigot assembly included. 3' of 3/8” clear tubing – Used to connect your bottle filler to the bottling spigot. Bottle Filler – A spring-action tube that will make filling your bottles easy. 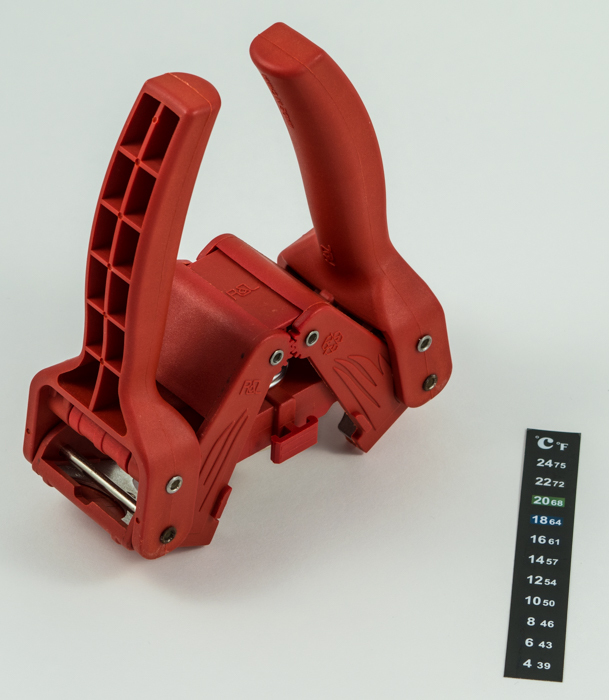 Red Baron Bottle Capper – A simple tool for adding caps to bottles. One Step Cleaner – Combination cleaner and no­-rinse sanitizer. Crucial for making sure the only microbes fermenting your beer are the ones you intended. Triple-Scale Hydrometer – A tool used to measure the density of your beer. The difference in density before and after fermentation tells you the alcohol content. 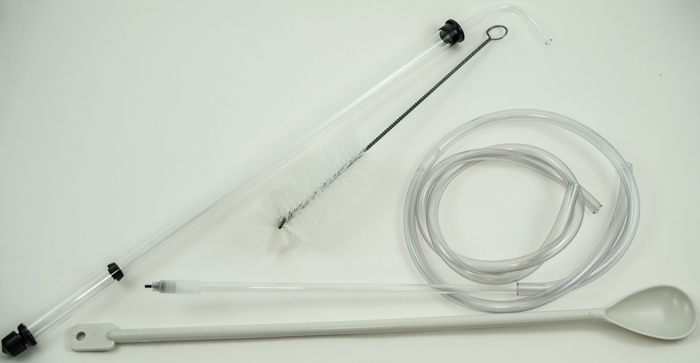 Auto Siphon and 5' of 5/16” clear tubing – Used to effortlessly transfer your wort from kettle to bucket, or from fermenter to bottling bucket. Beer Bottle Brush – Use to clean beer bottles. DO NOT use this brush to clean your plastic buckets – it will leave scratches that can harbor bacteria and make your beer taste bad. Instead, soak your plastic containers in One-Step Cleaner. Carboy Brush - Use this L-Shaped brush ONLY on the glass carboy! Thermometer – Accurately measure the temperature of your wort on your brewday. 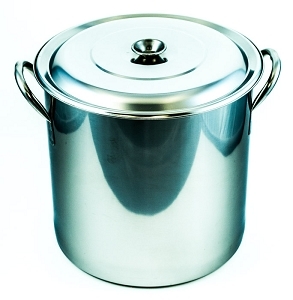 Stainless Steel Spoon – Good for stirring your beer during the boiling stage! Brewing Handbook – A quick reference guide to brewing. 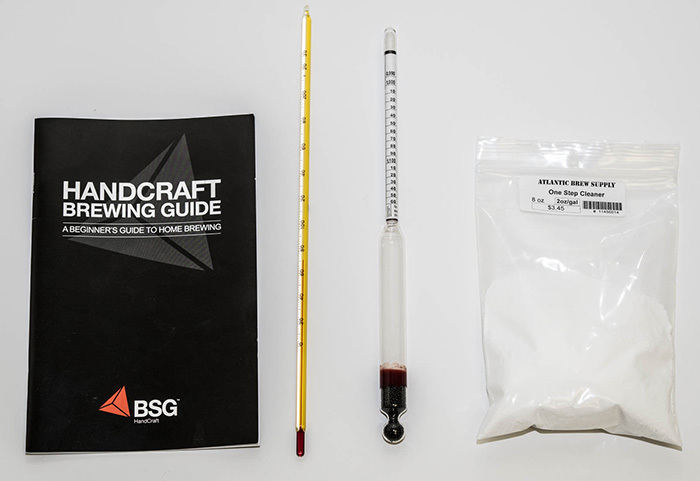 Pair these items with one of our ingredient kits, and you'll be more than ready to craft your first and finest batch of homebrew! 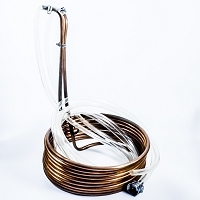 **We do recommend a wort chiller as an upgrade for your brewing experience.